KIVUNIM Americas is not your average summer program. 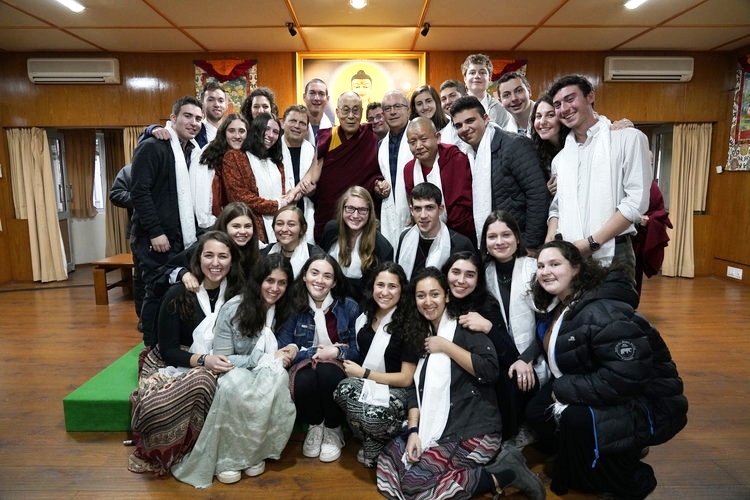 In these five weeks, you will go farther from home but get closer to your fellow Americans — North and South — to your connection with Judaism, and to yourself. KIVUNIM Americas has partnered with two incredible organizations to provide the best experience for travelers coming from the U.S. and for those that they will meet up with during the trip. 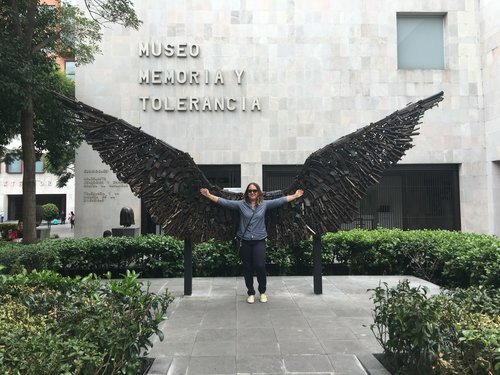 In Mexico, Trueke director Karen Steiner is the expert on-the-ground in charge of creating the itinerary for our first two and half weeks of travel. Her company operates sustainable tours that support local artisans and economies, as well as offer travelers an unforgettable taste of Mexico. Trueke designed a program in that same spirit while incorporating the Mexican Jewish community into the agenda. In Brazil, the Escola Eliezer Max is our main partner. Students at the pluralistic, Jewish private school based in Rio de Janeiro take part in cultural field-trips over the course of their scholastic careers. For the first time in 2019, Eliezer students and KIVUNIM Americas students will join forces to experience the history, present, and future of Brazilian Jewry together. Visiting a new place is one thing. Encountering a new place with your peers — people who know the territory but have never experienced it quite like this — is the recipe for an altogether more impactful program. KIVUNIM Americas participants and our in-country partners are embarking on a journey to eschew stereotypes and form meaningful, lasting bonds. Who was once a stranger becomes a friend. What was once a land far, far away starts to feel a little less distant. Help us make this big world a little smaller. KIVUNIM America recognizes the importance of learning while traveling. Yes, we’ll spend time relaxing ocean-side, but we’ll also challenge students to interact with their surroundings, to ask insightful questions, to absorb. The KIVUNIM model pays careful attention to the the kind of museums, cultural events, and local experts that make it onto the itinerary. High on our priority list are activities that inspire deep thought, motivate critical conversations, and present a new perspective. Participants can look forward to beautiful vistas and sunny beaches, as well as tuning in intently to learn lessons only learned on the road. Language does not take a backseat in an experiential learning environment, but rather permeates and enriches any and every moment of the journey. Over 300,000 Jews speak Spanish in Latin America; more than 100,000 speak Portuguese in Brazil. Participants will be able to converse with their Mexican and Brazilian peers in English — and perhaps bond over a mutual background in Hebrew. However, nothing is quite so immersive as interacting within the local languages. All KIVUNIM Americas students, regardless of their comfort level in Spanish or Portuguese, will have the opportunity to taste the flavors and feel the rhythm of both in natural, authentic settings — something not afforded to them in most U.S. classrooms. They’ll be encouraged to give their knowledge a test drive in the field. They’ll be positioned to learn words and try out new phrases. They’ll return home to the United States emboldened and excited to improve their language skills. KIVUNIM Americas was borne of alumni inspired by their gap-year with KIVUNIM: New Directions. While New Directions focuses on Israel and Jewish Diaspora communities across the Eastern Hemisphere, Daniel Starosta (Alum of 2008-2009) and Daniel Magerman (Alum of 2011-2012) envisioned a complementary program, taking the connective power of KIVUNIM to Latin America. The pair arrived at their idea following parallel paths. Starosta has strong family ties to Latin American Jewry, growing up in the United States, but never too far from his Jewish roots in Mexico and Venezuela. For him, Spanish and Hebrew and family traditions have always been closely linked, and a Latin American Kivunim extension always seemed like the natural evolution. Magerman grew up in the suburbs of Philadelphia to parents of Ashkenazi descent and as part of the fourth generation living in and around the city. He studied Spanish in high school and fell in love with the idea of forming connections with people in another language. In November 2017, Peter Geffen, Founder of KIVUNIM: New Directions, put the alumni in touch, encouraging them to go forth and build. Since then, the two Daniels have endeavored to develop and facilitate a KIVUNIM program that harnesses the formative experiences from their gap-years — and offer such an experience to more young minds. The formation of KIVUNIM Americas is evidence of just how strong an impact KIVUNIM: New Directions has on its students. Alumni are empowered to create new, far-reaching, difference-making initiatives. Participants of KIVUNIM Americas will become part of our network, uniquely positioned to be the best-informed, critically thinking Jewish leaders and global citizens with real-world knowledge.